If Roger Goodell had it his way the NFL would be relegated to flag football or two-hand touch (but the latter might involve too much contact). 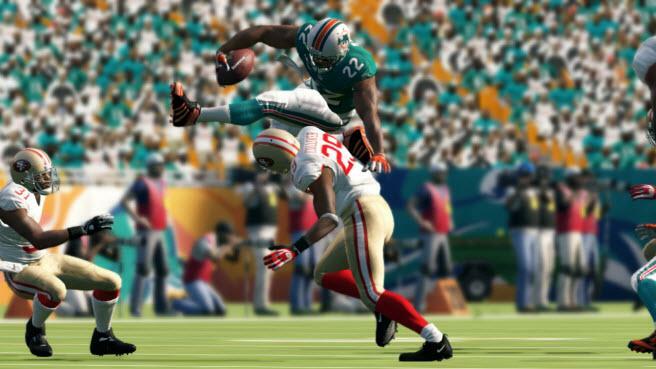 The issue at hand for Madden is the fact that they are marketing their newest and most important gameplay fix in years – real time physics. What is real time physics? It strictly means that as a player’s leg makes contact with another player in motion it will bounce off in realistic fashion rather than clipping through the other player or simply rubbing off in some strange way. Now your players will flip, fall and bend as they should… but will they break like they should? What might take away from this new way of players moving is when they smash their knees on someone’s helmet or fall on their head… or god forbid, get laid out by Patrick Willis and they somehow don’t get injured. The NFL is making it more and more difficult for EA Tiburon to implement realism so long as they have the NFL’s license to make Madden with real players and NFL likeness’. If EA wants to be a simulation, they need to include real-time injuries with this new physics engine… otherwise, they are just giving people a watered down version of football that is better left to Saturday morning kids shows. 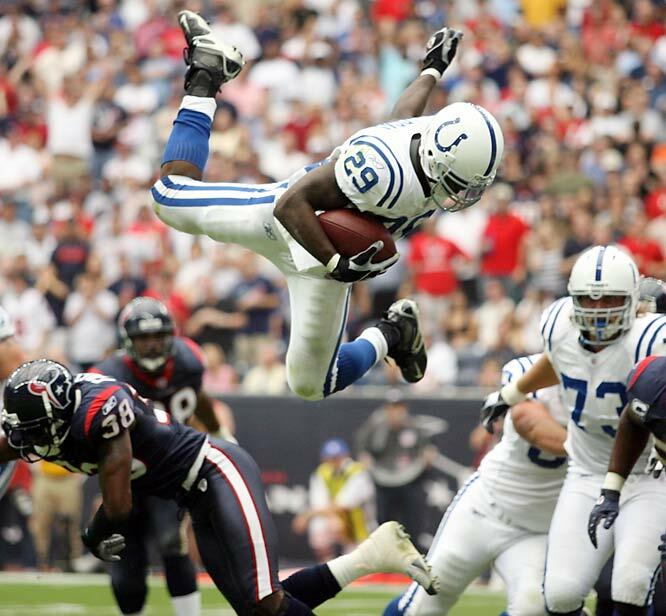 Who knows if Joseph Addai got hurt on this play, but it could happen. In Madden it would currently play no part in his chances of injury. Next Next post: Is Black Ops 2 The End of COD As We Know It?